Designs from the distant past warm our hearts in much the same way glowing oil lamps erase the chill of a winter’s night from a gathering of souls in the saloon. Most of the classic designs talk honestly to us in simple sentences, so we understand the meaning of each element. 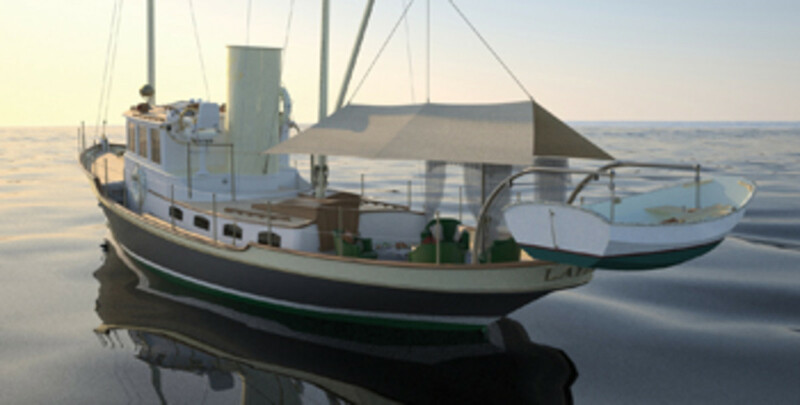 John Alden’s Pioneer, an oceangoing tug drawn — but never built — in the early 1940s, is a fine example. So, too, is Layla, designed in 2013 by Brendan Riordan, whose passion for Pioneer’s grace and beauty inspired him to exhume Alden’s work and modify it for our time. Someone is. Rockport Marine’s design staff, absent Riordan, who has moved on but remains involved, has finished the plans. The client has paid his bill and is mulling dates to begin construction. Layla’s profile above the waterline closely resembles that of Pioneer — because who would mess with perfection? 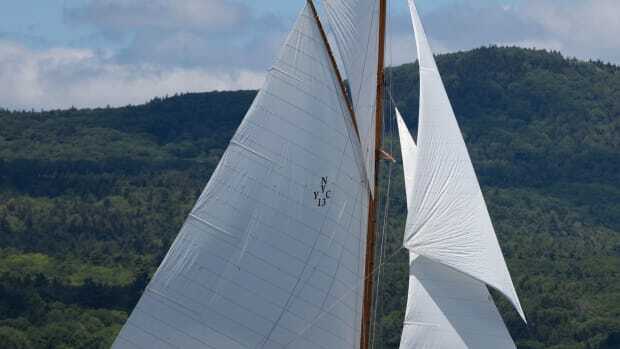 Her nearly plumb stem and counter stern bookend the sweeping sheer line. 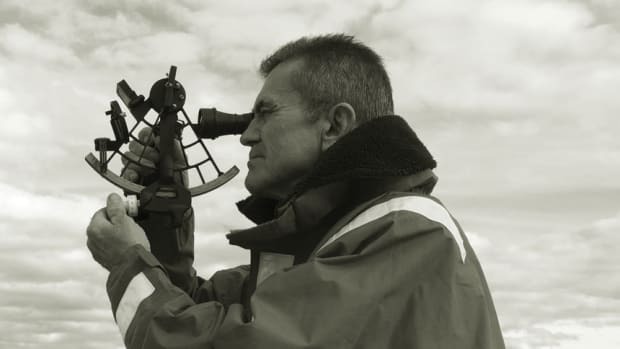 The acres of freeboard and flare forward should keep seas at bay when the going turns ugly. Taking a slice out of the sheer line reveals the superstructure’s shape, reduces our perception of bulk and separates the business end of the deck from the pleasure end. I can’t imagine Layla’s profile without this break. Alden drew round portlights along both sides of the trunk cabin, as was the custom of the day. Riordan chose long windows, elliptical in shape at the top and bottom and with their ends cut off. These provide a better view out of the saloon and visually extend the length of the structure. 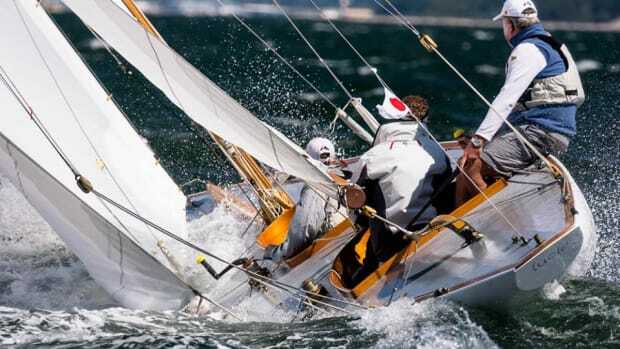 Below the waterline, Pioneer had the slack bilges of a sailing yacht. 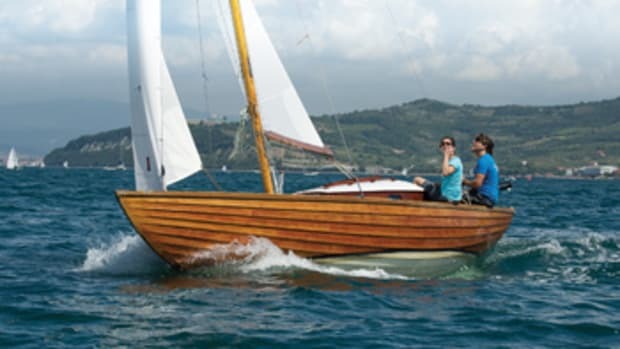 The buttock lines, which represent the longitudinal, vertical slices of a half-model, rise dramatically near the stern to let water clear the run. Riordan extended the buttock lines to just a bit forward of the rudder. This increases buoyancy aft, which reduces squatting as Layla flirts with exceeding her speed/length ratio. Extending the buttocks also let Riordan keep them parallel for much of the waterline length, which decreases wave-making resistance. 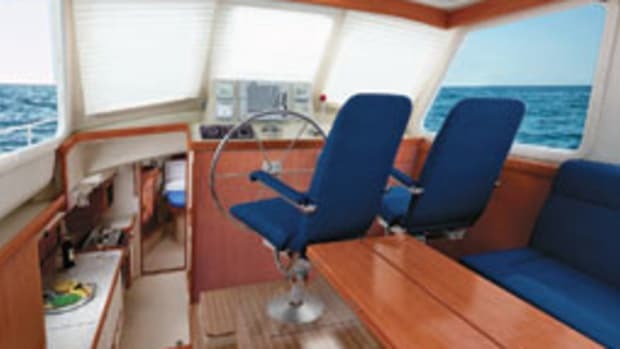 A single, slow-turning diesel placed beneath the pilothouse and spinning a large prop will propel this narrow, easily driven yacht without burning much fuel. 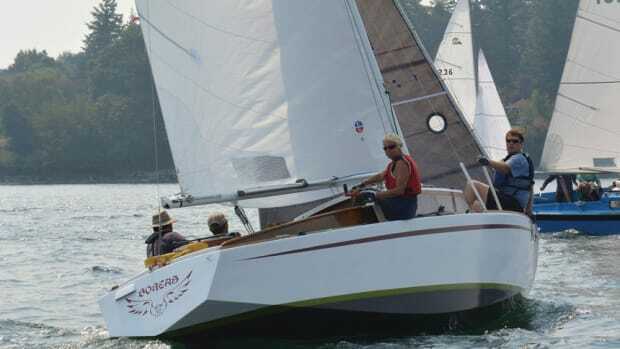 Her sailing rig, divided into manageable chunks, has enough area to drive Layla, increasing her range. Like a schooner, most of Layla’s sail area sets abaft amidships and shows a boomless triangular sail flown from a spar attached to the mast a little above deck level, and a fisherman topsail set above that. A small Yankee staysail sets from the main mast, and a Yankee headsail flies from the foremast. All are boomless. 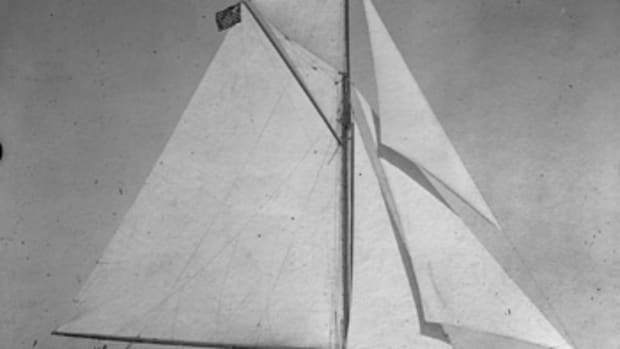 The aftermost sail can be lowered to form a tent over the afterdeck. 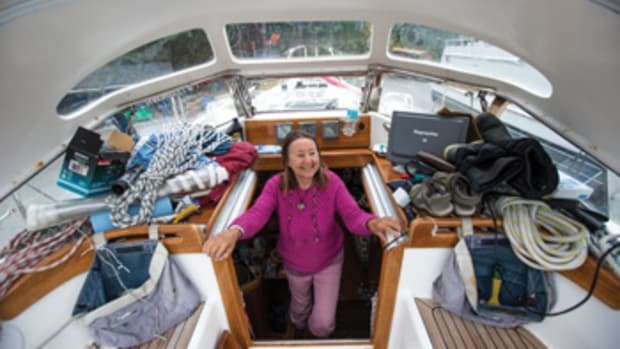 “This is a boat for that couple with an abundance of time, a measure of wanderlust, access to an archipelago and an inclination to proclaim beauty where they found it,” Riordan wrote in his blog.